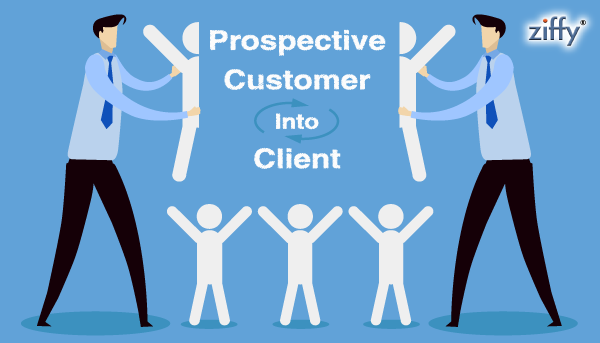 Firstly let me explain what is Prospective Customers .Someone who is not yet a customer, but who has the potential of becoming one. If you own a candy store and a child walks in, but has not yet made a purchase, they are a prospective customer and if child purchases a Candy then he will become your Customer. Despite being able to have tens of thousands of connections via social media, email, and blogs, the importance of building relationships has never been more important. Why? Because connections in and of themselves do not make your cash register ring. However, when you cultivate connections, you can build real relationships, and you can turn a prospect into a long-term customer. Here’s how to convert your prospect into Customer. When you ask a question it requires your prospect to reply. Try something along the lines of, “It has been over a week since we have heard from you. Have you had a chance to go over the materials and make a decision?” This is a good way to apply the pressure while also opening up the dialogue to discover questions or concerns the prospect might have. Often times a simple follow-up email or phone call asking your prospects if they have any additional questions will get them back into purchase mode. This is a great way to quickly convert them into a customer before too much time passes. All of the leads that your company generates through your website should be immediately contacted and you should also follow up with them and after a couple of days later, offering to answer any questions that they might have. Listening is more than hearing. If your prospect tells you that she needs something more from you, think about how you can meet that need. Of course, not everyone is reasonable, but don’t reject requests out of habit because you’ll miss an opportunity to bring more value to your audience. Prospects don’t care about how amazing your product is. What they need is to solve a problem. Be clear with your prospect about how your products or services can help her. If you provide an easy solution, right when she is feeling pain, she’ll be an instant convert. While social media may feel like broadcasting to an empty theater, it becomes more of a conversation once you build your following. When someone comments on your updates, acknowledge it. Depending on the social site, you may even look for people who discuss issues related to your product and dive into the conversation in a meaningful way. Remember, only comment if you can help. All of these practices, in their essence, help you earn your prospect’s trust. When someone who trusts you becomes a customer they will stick with you over time. You build relationships through repeated actions, and living your brand promise. When you continuously demonstrate your trustworthiness, your customers will depend on you and refer you to others.